This week's presenter is Dr. Gene Landrum. Dr. Gene Landrum is a businessman turned educator, author and motivational speaker. Gene was the first president and creative force behind the Chuck E. Cheese family entertainment chain. He has made over 1000 talks on the psychology of business success and the psychology behind behavior – his doctoral work. 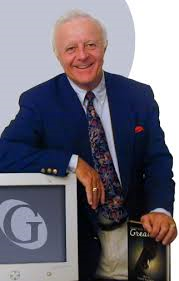 Dr. Gene has appeared on hundreds of television and radio shows including Lifetime television, AP and UPI and has spoken in many venues including the US Capital. The theme of his messages are Innovation, The Psychology of Sales & Marketing, Pathway to Self-Empowerment, Change, Fear and Fame, Entrepreneurship, Leadership, Eight Keys to Greatness.